Throughout its development, Terrasol has given pride of place to intellectual services and engineering consulting services, with no site investigations or laboratory resources. This guarantees its total independence in the choice of investigation methods proposed to its clients. Terrasol’s goal is to constantly seek the geotechnical solution that is the most appropriate for a project and its context, while incorporating all technical, financial and schedule constraints. Through the combined use of appropriate investigation methods, geomechanical site modelling and computational approaches optimised to match the needs of the project, Terrasol has accumulated specific expertise, and can now propose high value-added geotechnical engineering services, both in terms of studies (design/modelling/implementation) and in terms of field missions (geology, follow-up of investigations and monitoring of works). With a profound desire to remain at the forefront, Terrasol has relentlessly invested heavily in scientific developments (either on its own, or within the Scientific Community), to develop innovative approaches that are increasingly reliable and efficient. Through this approach, we are constantly seeking out new geotechnical engineering application scopes, to provide support for our clients in project optimisation. For example, we are pursuing our developments in soil-structure interaction, in particular under seismic loads. 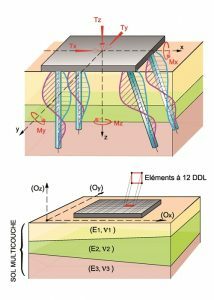 As such, the introduction of Eurocodes and the recent awareness of issues related to seismic risk have given rise to computer models that are capable of realistically processing the dynamic behaviour of the soil interacting with the structure that it supports. Over the last few years, Terrasol has developed advanced practices in designing earthquake-resistant structures that take full consideration of the dynamic nature of seismic loading and the resulting favourable (or unfavourable) effects. Energy geostructures is another topic: although they are less commonly used than by our neighbours, they are sure to develop in France. These are deep foundations or walls equipped with heat exchangers that can heat or cool buildings. These piles or walls are subjected to temperature variations that cause settlements or uplifts, and stresses in the structure, which should be taken into account when designing projects. To support the development of this technique, Terrasol has developed a new calculation program called Thermopie+ that can model the soil-pile-structure interaction for a group of geothermal piles. The model developed using this technique has been used for numerous applications, including the Sept-Sorts wastewater treatment plant project in France. 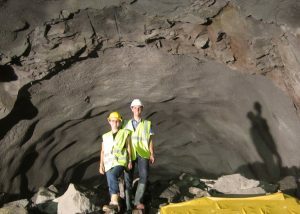 Our teams have also worked extensively on probabilistic (or reliability) analyses and their applications in geotechnics. 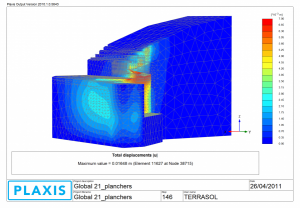 The history of the Talren software, a tool to calculate the overall stability of geotechnical structures developed by Terrasol, is a good example: the development of this software, in response to an internal need, goes back to the beginning of the 1980’s. It was carried out in parallel with work for the National Clouterre Project, in which François Schlosser was involved (as project president), along with Alain Guilloux and Bruno Simon: the Clouterre and Talren projects have interacted and enhanced one other. The Talren software soon attracted the interest of external companies such as EDF or Soletanche, which led Terrasol to formally market and sell Talren from the 1990s.